Dr. Traveller was voted first team All-State soccer his junior and senior years, and was a captain of the team his senior year. After Serving an LDS Mission in Brazil for two years, Dr. Traveller returned to Cache Valley to continue his education at Utah State University. Dr. Traveller obtained his bachelors degree of Life Science at Logan University in St. Louis, Missouri along with his Master’s Degree in Sports Science and Rehabilitation. He graduated from Logan College of Chiropractic in December of 2007. Dr. Traveller married Shelly Bennett in 2002 and they are now the proud parents of two boys and two girls. Dr. Traveller has been honored to help hundreds of people with conditions like whiplash, sports injuries, neck pain, low back pain, disc injuries, extremity injuries and headaches. Because of his outstanding skills and results he was awarded the “Top 25 Chiropractor” Award for the State of Utah by the American Society of Healthcare Professionals. Dr. Traveller is originally from Cache Valley Utah. At the age of 15 he was injured while playing soccer and had his first Chiropractic adjustment. From that point on he has made Chiropractic, acupuncture and optimal health training his professional goal. 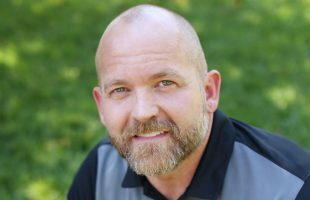 He obtained his Doctor of Chiropractic Degree in 2008 from Logan College of Chiropractic, and was hailed as one of the top student clinicians in a class of 120 for his treatment excellence. He was a member of the first graduating class at Logan University to achieve the Master’s degree of Sports Science and Rehabilitation. He has worked with Professional, Olympic, Colligate, High School athletes. 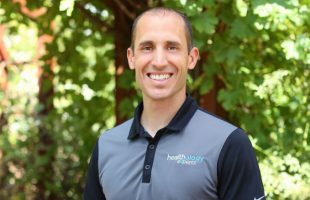 He created an agility, speed and power program to help soccer, basketball and tennis athletes while in Cache Valley, and when recruited to come down south continued to work with High School athletes as well as becoming a trainer for the “Big Loser” local weight loss program, and was privileged to be the winning trainer in 2013. Dr. Traveller has made nutrition and exercise a huge part of his practice in part because of these experiences. Along with Dr. Traveller’s Chiropractic Doctor, and Sports Science Master’s degree, he is also certified in Acupuncture, and thoroughly enjoys this art and science. Dr. Traveller has been shadowing acupuncturists since 2002, and finished his certification classes and National Board Certification in 2010. Dr. Traveller marvels each day at the miracles that occur through Acupuncture. In 2009 Dr. Traveller completed a whiplash and auto collision course through The Personal Injury Training Institute and is trained to diagnose, treat and properly document injures due to auto collisions. This certification is specific to the State of Utah, and allows him to recognize and remedy unforeseen problems that can arise during the treatment of these complicated cases. If you or someone you love lives in Southern Utah and has been in an auto collision, Dr. Traveller would be happy to answer questions, or begin a treatment plan to facilitate healing of the neck pain, back pain, headaches, or any other injuries due to this car crash. Dr. Traveller considers his active life his secret to success and understands the physical demands on a patient’s. He played soccer at Utah State, high school soccer, basketball, football, track, and cross country. He has run in multiple marathons and has qualified for the Boston Marathon. He has completed Iron Man 70.3, Tough Mudder, and Ragnar races and does plans to continue to test his body’s capabilities. He knows how to treat and prevent many injuries because he has had to do so for himself. Dr. Traveller is married to his high school sweetheart Shelly, and is the father to five wonderful children. He loves and appreciated the people who have entrusted their health to him, and is appreciative to the friends and loved one’s they refer to his office. Tyler Williams is a Doctor of Chiropractic with a Masters Degree in Sports Performance and Rehabilitation. He has lived and practiced in southern Utah since 2008. Prior to moving to St. George, Dr. Williams lived in St. Louis, MO where he attended Logan College of Chiropractic. While in St Louis he worked with professional and college athletes as well as Olympic hopefuls. While working on a Masters degree in Sports Performance and Rehabilitation, Dr. Williams was awarded the Biofreeze Scholarship for his outstanding work in sports rehabilitation. Dr. Williams prides himself on being a good physician that can treat just about any injury. He is trained in multiple Chiropractic manipulative techniques as well as homeopathic injectables, nutrition, Graston technique, and myofascial techniques, for treatment of conditions ranging from headaches and back pain to athletic injuries and pregnancy. He has combined specialized muscular techniques and rehabilitation with chiropractic treatment to give patients an elite level of care. Before graduate school, Dr. Williams was a personal trainer and exercise therapist for six years, a competitive bodybuilder, and played rugby for Utah State University. While living in St. George, he has worked with professional baseball players, professional Iron Man competitors, marathon runners, many college and high school athletes, and post-surgical patients. Outside the office you can often find him spending time with his family, mountain biking, wakeboarding, or mountaineering in the beautiful Utah backcountry.